The Fembot and the Femme Fatale are two artistic archetypes that clearly share much in common. Yet, there is another female archetype that arose from the film noir cinema of the thirties and forties. Janey Place refers to this figure as “the virgin, the mother, the innocent, the redeemer” (Place 47). This ‘redeemer’ figure is the “sister (or alter ego)” of the Femme Fatale, “form[ing] the two poles of female archetypes” (Place 47). The Redeemer is the complete opposite of the Femme Fatale. Rather than a dynamic, aggressive, sexual woman, the Redeemer is usually flat, passive, and almost entirely cut off from her own sexuality, unless she is given the natural ‘privilege’ of motherhood. “She gives love and understanding (or at least forgiveness), asks very little in return (just that he come back to her) and is generally visually passive and static…She is then linked to the pastoral environment of open spaces, light, and safety” (Place 59-60). She is the ‘good girl’, the one who the audience knows the male lead should choose, but equally knows he will not. With her, he sees the life he could have had: a ‘normal’ life, in which he becomes a breadwinner for a doting family with a wife that sees to his every need. The Femme Fatale shares no characteristics with her narrative foil, except for perhaps the appearance of passivity. This is one of the main ways the Femme Fatale first misleads the male lead. She appears to need assistance, to be merely at the center of events beyond her control. By the film’s climax however it is clear to the male lead that she was never the wilting flower he had been lead to believe her to be. It is he who is made passive. “Indeed, her strength is emphasized by the general passivity and impotence which characterizes the film noir male…and thus only actual or symbolic destruction is an effective control” (Place 62). In tales of the Fembot, there is no readily recognizable Redeemer character. On occasion there enters in ‘another woman’ in the male creator’s life, a human woman who emphasizes the manufactured qualities of the Fembot. But if she is a rival it is because she shares so many desirable traits with her mechanical counterpart, having the advantage only because she is ‘real’. However when one analyzes the Fembot archetype closely, as I am attempting to do here, one realizes that the Redeemer is very much alive in these science fiction stories. She resides within the character of the Fembot herself. 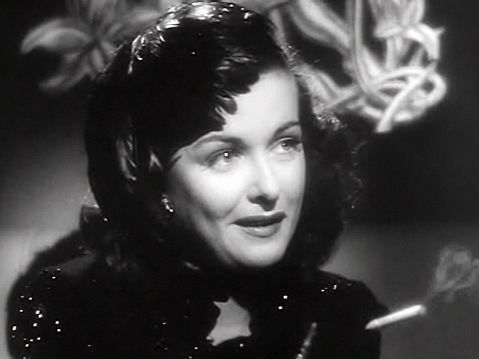 Of course, she is not linked to “pastoral environments of open spaces, light, and safety” as the film noir Redeemer is most usually associated with. The Fembot is almost always associated with the city. She is metal and wires, a complex mechanical and man-made system in which the mysteries of the human psyche operate; in many ways she is the city incarnate. With one important exception: unlike the cold, unyielding, uncaring ‘jungle’ that she calls home, the Fembot posses that warmth of affection and the desire to do good. She is the feminine face of the cold cityscape. Like the Redeemer of film noir she offers her male counterparts a paradoxical respite from the coldness of modern life, asking for nothing in return except the right to exist. The Fembot in her dual role of Redeemer and Femme Fatale comes to represent ultimately the success of feminism. Still very much defined by her gender, she is not controlled by it. She has all the logic, intelligence, and interiority of a man while still using the positive female traits within her to their greatest advantage. In ways completely unintended by her male creators, she inevitably becomes the true ‘perfect woman’. The fundamental relationship between the Femme Fatale of film noir and the Fembot of science fiction is complicated and revealing. They both point to “[t]he tendency of popular culture to create narratives in which male fears are epitomized in sexually aggressive women who must be destroyed…” (Place 62). Nonetheless, the two figures express this tendency in subtly different ways. The Fembot is created to fulfill everything that a male gendered heterosexual should want in a woman. They are built to perfect the flaws of natural femininity and at last fully satisfy men. In spite of these goals, and however well the Fembot might initially conform and perform to expectations, something always steps in to complicate the situation. Whether it is the introduction of unexpected stimuli from the outside world or the slow gaining of consciousness of the machine itself, the Fembot begins to ‘act out’, often eventually refusing to perform any of her assigned tasks. By the end of the narrative she is often destroyed, a failed experiment and an esoteric lesson in gender politics and machine intelligence. The Fembot represents the unleashing of man’s sexual desire and its consequences. By contrast, the Femme Fatale represents everything a typical male gendered heterosexual shouldn’t want. She is everything that is dangerous and subversive to the normal gender politics of her society. The fact of her sexuality is her greatest repellant, not her greatest draw. If the male characters within the film could only recognize the Femme Fatale for the radical subversive she is, they would never truly desire her in the first place, realizing the danger her licentiousness and sexual control brings. This is, of course, what eventually occurs. The initial image of a vivacious, but passive sexual woman in need of assistance is complicated throughout the course of the story as the male lead learns more and more about her true nature and desires. In an attempt to save himself, the male lead must ‘destroy’ the Femme Fatale, whether that means actually taking her life or just somehow incapacitating her and limiting her freedom, such as having her put in jail. The Femme Fatale represents the quest to control man’s sexual desire. This entry was posted in Academic and tagged Academic, Archetype, Artificial Intelligence, Computing Machinery and Intelligence, Essay, Fembot, Feminism, Feminism and the Figure of the Fembot, Feminist theory, Femme Fatale, Film Noir, Gender, intelligence, Janey Place, Non-Fiction, Redeemer, Robin Jeffrey, The Femme Fatale, The Redeemer, The Woman in the Window, Women in Film Noir, Women's studies, Writing. Bookmark the permalink. Robin, COOL BEANS. This block entry is uniquely enriching. I’d not have thought of this in a thousand years, and when you explain it, the truth is clear. The only thing I kept thinking was, how even archetypes are built into the language, and how we are ultimately up against not different aspects of humanity, but the human condition itself. Don’t you sometimes think that things are the way they are because we are what we are? That the results of the human experiment are inevitable? Well, either way, I enjoyed the post.